Spring Break is just around the corner. A time to relax, recharge the batteries, and unwind. But when that unwinding has become unwound, a field trip may be just what the doctor ordered! 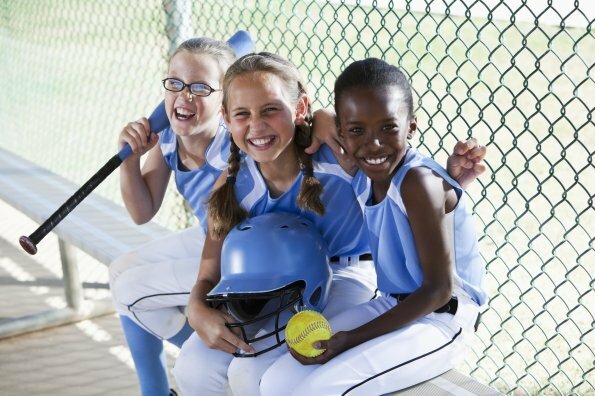 With so many activities in communities across Canada, you’re sure to find one, or many, on the Active for Life list that will keep you and your kids entertained and having fun! Info: Come for the day to see penguins, clownfish, turtles, and frogs, or register your kids aged 4 to 12 for day camp. Kids will learn all about the oceans through a mix of hands-on experiences, crafts, and visiting the galleries. Hours: 10 a.m. – 5 p.m. daily for visitors, camp hours: 9 a.m. – 3 p.m. with extended hours available. Costs: Daily visitor rates: Adults: $39, Seniors and students: $30, Kids 4-12: $22, Kids under 3: free. Info: At this heritage Edwardian house, kids are brought back in time to British Columbia in 1909. Artifacts are available for viewing and some are allowed to be handled. Special events for kids aged 4 to 12 this March Break include learning about native birds and the building of a birdhouse on March 20th. On March 22nd, kids can make ropes and weave mats. Registration is required. Hours: March Break special events run from 1 until 3 p.m. and the house is open for all visitors from 11 a.m. to 5 p.m. Tuesday to Friday, and 10 a.m. to 4 p.m. on Saturday. Costs: Entrance is by donation (cash only). Birdhouse and Mat Weaving fees: $10/child. Info: There’s something for everyone in the family on Granville Island! Shop for yummy treats at the public market, get crafty at one of the many studios, check out one of the daily performances of The Velveteen Rabbit at the Carousel Theatre, or play for hours at the indoor and outdoor play areas. The Kids Market has a four-level (!!) play area as well as “Circuit Circus”, an old-fashioned arcade. Hours: The Public Market is open daily from 9 a.m. until 7 p.m. and the Kids Market is open from 10 a.m. until 6 p.m. daily. Costs: Entrance to the Market is free, tickets to the Velveteen Rabbit: $35 for adults, $18 for kids. Info: Lions and tigers and bears, oh my! Add to these a plethora of other creatures including penguins, meerkats, hippos, snakes, gorillas, butterflies, etc, etc. and kids of all ages (including parents!) will have a great day at the zoo’s many indoor and outdoor venues. Multiple playgrounds can also be found around the zoo for jumping, climbing, and swinging adventures. Visit for the day, or register your kids from grades 1 to 6 in Zoo Camp. Hours: Open daily from 9 a.m. until 6 p.m. Camps run from 8:30 a.m. until 4 p.m. with extended hours available. Costs: Adults: $24.95, kids 3-15, $16.95, kids 2 and under are free. Camp fees: $285/child. Hours: Sunday to Friday, 10 a.m. to 4 p.m., Saturday, 10 a.m. to 5 p.m.
Info: Ever wonder how a fish breathes underwater? This and so many other questions about flora, fauna, and fish are addressed at the Discovery Galleries through hands-on exhibits. Hours: Tuesday – Saturday, 10 a.m. to 4 p.m., Closed on Sundays and Mondays. Info: There are so many exhibits that will engage and educate your kids at the gallery! 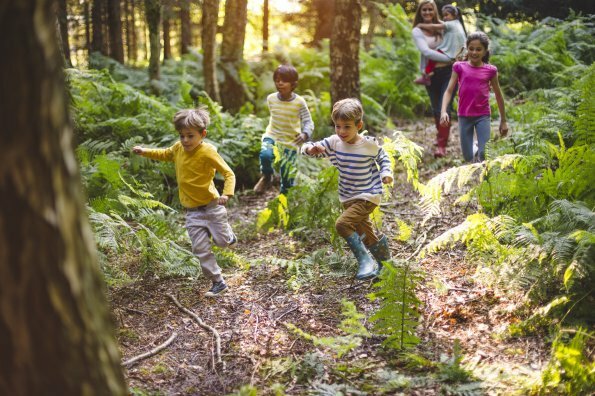 If we were to pick one, we’d send your kids to the Wild Wood where kids learn about the wonders of nature through crafts, stories, and multiple hands-on exhibits. A “Green Guardians” day camp is also available for kids aged 6 to 12 to learn about various methods of reusing, recycling, and repurposing to make their own green environment. Hours: Tuesday and Wednesday, 11 a.m. to 8 p.m., Thursdays and Fridays, 11 a.m. to 5 p.m., Saturdays and Sundays, 10 a.m. to 5 p.m.
Info: For kids up to age 12, check out different branches for different activities each day. Puppet Adventures, Build-A-Story, Digital Scavenger Hunts, LEGO workshops, music programs, etc, etc. – there’s something for everyone! Info: Lace up those sweet shoes and bring the whole family to bowl! What a fun way to spend an afternoon. Smiles are almost always guaranteed! Hours: Monday to Friday, 11 a.m. to 11 p.m., Saturdays and Sundays, 12 p.m. to 1 a.m.
Costs: Rates vary depending on day and time of day. Check the website for more details. Info: At the 4Cats Adventure Camp, kids will have the ultimate art experience as they paint with acrylics and watercolours, sculpt, throw clay, etc. Info: Wascana is the place to be for skating, tobogganing, snowshoeing, cross-country skiing, and cleared trails for a walk or run around the lake. The public skating surface has a heated change facility, washrooms, and overhead lighting. Hours: The skating venue is open from 9 a.m. until 10 p.m. daily. Info: Learn about Saskatoon’s past through exhibits about so many topics including wind power, farm machinery, a recreation of a typical Saskatchewan town from 1910, insects, flowers, food, and so much more! Costs: Adults, $10, Children 6-12, $4, Children 5 and under are free. Info: Spend the day cavorting with capuchin monkeys, cougars, and bearded dragons! Take a break from the animals at the nature-themed playground. Hours: Until April 30th, the zoo is open daily from 10:00 a.m. to 4:00 p.m.
Costs: Adults, $12.50, Children 6-18, $7.50, Children under 5 are free. Info: With exhibits with names such as “Tumble Zone,” “Mellow Marsh,” “Engine Zone,” and “Illusion Tunnel” (amongst many more), who wouldn’t want to spend a day at this awesome spot? Go for the day with your family or register for camp. From March 26-29th, campers will create, discover, and learn, as they explore with daily themed activities. Info: The zoo is home to many animals including snow leopards, meerkats, red pandas, frogs, snakes, etc., but the popular residents this year are two orphaned polar cubs that were brought to the zoo in early December. After an online contest to name them, the zoo recently announced their names: Baffin and Willow. Visit them along with 11 other polar bears! Hours: Starting March 14th, 9 a.m. until 5 p.m. daily. Costs: Adults, $20.50, Kids -12, $11.25, Kids under 3 are free. Info: Among its many amazing exhibits, kids can take a walk amid butterflies, examine fascinating fossils, go nose to nose with beetles, tarantulas, cockroaches, and many other creepy crawly creatures! Hours: Closed on Mondays, Open daily from 9 a.m. until 5 p.m. except on Thursdays when the museum stays open until 8 p.m.
Costs: Adults, $14, Kids 3-12, $10, Kids 2 and under are free. Info: Do you have a budding Broadway star at home? Kids from SK to grade 12 will dance, act, and sing their way through the spring break and perform for family and friends on their final day of camp. Hours: Camp runs from 9 a.m. until 4 p.m. with extended care available. Costs: Contact theatre for costs. Info: Maple syrup! The yummiest product that Canada has to offer! Bring your kids for the day and learn how it is made, hop on a sleigh ride, let loose in the farm’s playground, take a scenic walk along the nature trails, and of course, save time for tasting! Hours: Open daily from 9 a.m. until 3 p.m.
Costs: Free admission, pancakes and syrup prices vary. Info: Come out and enjoy the amazing cross-country skiing and snowshoe trails. Maybe you’ll come across some of the local lynx, moose, weasels, snow hares, partridges, or snowy owls! Hours: Trails are open from 8 a.m. until 9 p.m.
Costs: Vary by activity and pieces rented. Info: The OSC has Canada’s largest and greatest array of interactive exhibits as well as the super-fun Kidspark, a learn-through-play space for kids 8 and under. 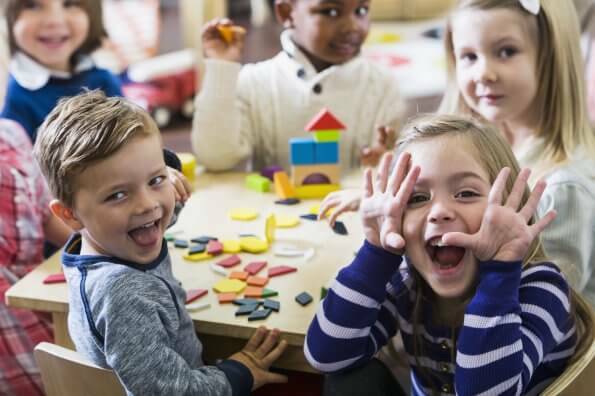 Among the many activities, kids can make bubbles big enough to hold their parents, build their own roller coaster, or rock out in a music studio. Don’t be surprised when an entire day passes in the blink of an eye! Cool camps for kids 5 to 12 also run for the week. Hours: Monday to Friday: 10 a.m. – 4 p.m., Saturday: 10 a.m. – 8 p.m., Sunday and Holidays: 10 a.m. – 5 p.m. Camp hours: 9 a.m. until 4 p.m. with extended hours available. Costs: Admission: Adults, $22, Kids $13. Camp: $345. Info: Take your kids back to Ontario of 1867 and show them a world before cars, electricity, and (eeek!! ), social media! This break, the village has special activities that range from kids becoming junior detectives and solving mysteries, to the making of maple syrup. Hours: Monday to Friday, 10 a.m. until 4 p.m., Saturday and Sunday, 11 a.m. until 4 p.m.
Info: On stage until March 17th, the classic and beloved The Secret Garden will delight kids from grades 1 to 7. The play centres around Mary Lennox who has been sent from India to England to live with her uncle at his gloomy manor. Discovering a hidden garden, Mary finds refuge and secrets! Hours: Show times vary, check the YPT website. Costs: Tickets range from $10 to $41 for adults, and from $10 to $36 for children. 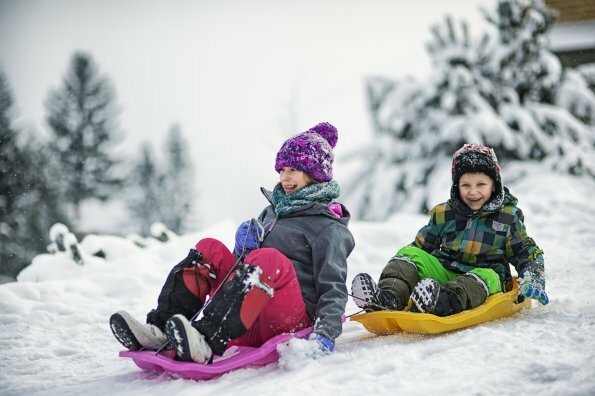 Info: Come for a day of thrilling outdoor adventures including snow tubing, snow rafting, and the very popular tornade (picture a spinning tea cup on snow!). There are slopes for tubing for beginners and up. Hours: March 4-8th, 2018: 9 a.m. to 8 p.m., March 9 and 10, 2018: 9 a.m. to 10 p.m., March 11 2018: 9 a.m. to 5 p.m.
Costs: Vary depending on activity and age. Info: The museum of natural history belongs to McGill University and is located on the university’s campus. With a vast array of mummies, dinosaurs, creatures from the deep, and so much more, kids of all ages will love to explore and discover! Hours: Monday to Friday, 9 a.m. to 5 p.m., Sundays (September through May), 11 a.m. to 5 p.m., closed on Saturdays. Costs: Free to the general public, donations are always welcome. Info: This unique indoor skating rink invites you to lace up your skates and glide to the lively beat of music. With the sun rays shining through the immense glass dome above, the Atrium Le 1000 is located in Montreal’s, and the province of Quebec’s, tallest building! Hours: Vary for general skate times and skate times for families only. Info: Experience the great outdoors while ice fishing in an inflatable igloo or brave the elements and fish outdoors on the frozen waters of Louise Basin in the Old Port of Quebec City. You can even choose to have your own fish cooked and served with a variety of menu items at the Old Port Market. Hours: Thursday to Sunday, 10 a.m. until 5 p.m.
Costs: Fees vary depending on package chosen. Check the website for details. Info: Experience a myriad of exciting activities including inflatable games, snow tubing, a sugar shack, and entertaining activities featuring walruses, seals, polar bears, and the underwater world. 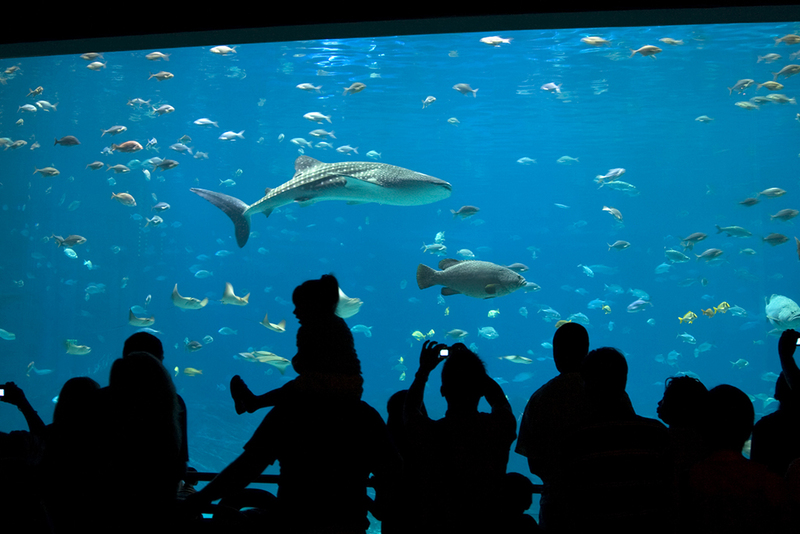 You’ll also want to meet the 10,000 marine animals inhabiting this environment. Every evening during March Break, enjoy the magical Festi Lumiere. Hours: Open daily from 10 a.m. until 4 p.m.. The Festi Lumiere is scheduled every evening during the Break from 6 p.m. until 9 p.m.
Costs: Adults, $19, Children 3 to 17, $9.50, Children under 3 are free. Family rates: 1 adult plus children from the same family, $38, 2 adults plus children from the same family, $57. Info: The museum has so many great activities including numerous exhibits, and the Once Upon a Time costume workshop. There’s also an amazing playspace that kids will love! This March check out the special exhibits Secrets Uncovered, and Mad About Brains! Hours: 10 a.m. until 5 p.m. daily. Costs: Adults 31+: $16, 18 to 30: $10, 12 to 17: $5, Children 11 and under are free. Family of 2 adults and 3 children from 12 to 17, $36. Info: Experience the beauty of Mont Farlagne while snow tubing, skiing, snowshoeing, and riding the fat bike trails. Take on an ice wall (imagine a slippery rock wall) with the help of an instructor. Hours: March 2nd, 3rd, 5-10th, 10 a.m. until 9 p.m., March 4th and 11th, 9 a.m. until 5 p.m. Closed March 12th and 13th. Costs: Vary depending on activity. Info: There’s something for everyone at the Kingswood including laser tag, bowling, arcade games, inflatables, air hockey, basketball, preschool play place, and a food court so you don’t even have to think about packing lunches! Hours: Monday to Thursday, 11 a.m. until 9 p.m., Friday and Saturday, 11 a.m. to 11 p.m., Sunday, 12 p.m. to 8 p.m.
Info: Clay Cafe is a “paint-your-own pottery” studio designed for all age groups – choose from cups, bowls, figurines, vases, etc. With over 300 kinds of pottery to paint, everyone will find something to love! Hours: Monday to Friday, 11 a.m. to 9 p.m., Saturdays, 10 a.m. to 9 p.m., Sundays, 12 p.m. to 5 p.m.
Costs: Costs vary by piece chosen but according to the Clay Cafe staff, most people spend on average between $10-25 on a piece. Info: From toddlers to kids of all ages, the Discovery Centre provides immersive play and hands-on activities to learn about a range of topics including aircrafts, animals, buildings, etc. Hours: Open daily 10 a.m. until 5 p.m. with extended hours on Wednesday until 8 p.m.
Info: Come out for March Break on the farm. Each day will have a theme relating to the farm. There will be lots of hands-on activities for everyone to enjoy. Hot chocolate will be served and weather permitting, there will be sleigh rides. Hours: 9 a.m. until 5 p.m.
Costs: Adults, $8, Children $3, Kids under 5 are free, Family rate (maximum 2 adults), $20. Info: Explore the wonders of Nova Scotia at the Museum of Natural History. See glittering gold, stunning Mi’kmaq artifacts, sea creatures, frogs, snakes, and a whale skeleton. Interact with the Netukulimk exhibit and learn the sights and sounds of Nova Scotia’s forests, or go to the Moon and Mars with Science on a Sphere. Meet and interact with live animals (including Gus the Gopher Tortoise who has been with the Museum for more than 70 years (!!)). Hours: Open daily from 9 a.m. until 5 p.m.
Info: With a soft play area for those under 4 feet, and a trampoline park for those over, Off the Wallz is the perfect place to bring your kids to jump off that cabin fever energy! Hours: Monday to Friday, 11:30 .am. until 7 p.m., Saturday and Sunday, 10 a.m. until 10 p.m.
Costs: Soft Play Area, $14, Trampoline Park, $17. Each jumper is also required to purchase a pair of Off The Wallz Grip Socks for $3.00 to wear while in all park areas. All prices include HST. Info: Enjoy an active, fun day in this beautiful setting. Experience downhill and cross-country skiing, snowshoeing, fat biking, and tubing. Hours: Mondays and Tuesdays, 10 a.m.-3 p.m., Wednesdays 1:30-9:30 p.m., Thursdays 5:30-9:30 p.m., Fridays 1:30-9:30 p.m., Saturdays and Sundays, 9 a.m. until 5:30 p.m.
Info: As Spring Break in Newfoundland and Labrador is in April, take advantage of the fresh spring air and make a visit to Bowring Park. With a fully-accessible playground, a pond with ducks and geese, and a statue of Peter Pan to bring out the child in everyone, Bowring Park is a wonderful spot to pass a day (or more). Info: Check out the “Kids’ Corner” featuring various scavenger hunts, word searches and crosswords for kids to complete as they walk around the museum and learn about the Newfoundland Railway and Coastal Boat Services. A fun model train exhibit also features two train play tables for your train enthusiast to enjoy, and a small library of books to read between play and exploring our exhibits. Hours: Wednesday to Sunday, 10 a.m. to 5 p.m.